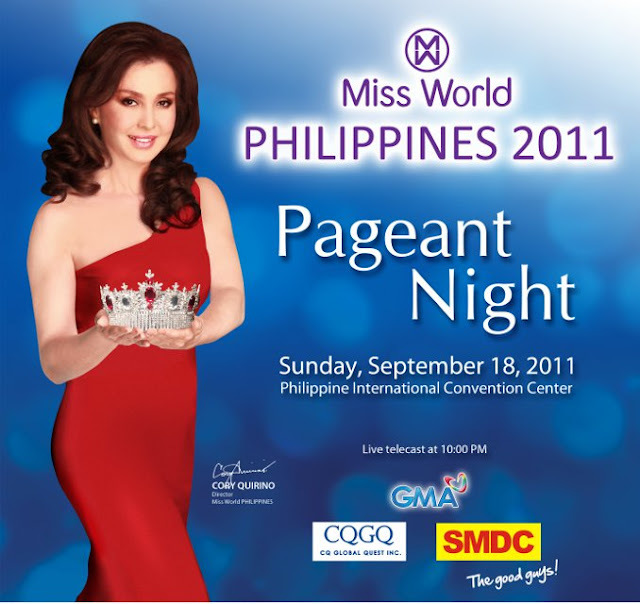 Miss World Philippines 2011, the first edition of Miss World Philippines will be held on September 18,2011, will be produced and aired by GMA NetworkPhilippine International Convention Center. 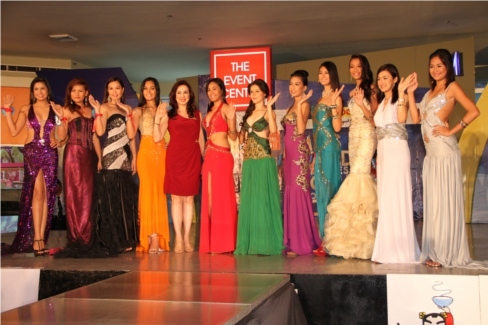 Miss Cory Quirino poses with some 50 aspirants at the Mall of Asia last May 27, 2011. Among the personalities invited to screen the girls were former beauty queen Joyce Ann Burton Titular and Batangas Vice Governor Mark Leviste. 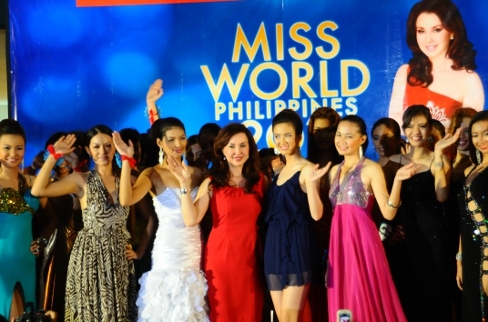 The 25 Miss World Philippines 2011 official candidates compete in the contest, and the winner will represent Philippines in Miss World 2011, in London. There were 24 applicants in the Miss World Philippines 2011 Search in SM Pampanga last May 28, 2011. Miss Cory Quirino was flown to Pampanga via the pageant's official air taxi, 'Airgurus' piloted by Captain Harry Lero. Miss Cory Quirino posing with aspiring Miss World Philippines 2011 candidates in the SM Bacolod City search last July 10, 2011.